Plans for a new nuclear power plant in Cumbria UK, which would bring thousands of new jobs, are in limbo after reports emerged on February 14 that Toshiba is planning to pull out of the deal. The Japanese firm however, has confirmed its commitment to the project, but doubt reigns as to whether it will still go ahead. Whilst questions were raised as to whether Toshiba would continue with the nuclear deal, the chairman, Shigenori Shiga, resigned hours after details emerged of a multi-billion dollar loss amounting to US$2.4bn. The question around Toshiba's involvement in the Cumbrian nuclear plant project reached further confision as NuGen, a company that plans to build the new power station, said that Toshiba had issued a statement revealing their continued commitment to the development. "The site has already been proven as suitable for three Westinghouse AP1000 reactors, two phases of consultation have found the public overwhelmingly supportive of the need for new nuclear and have helped shape the plans for Moorside," NuGen CEO Tom Samson said in an official statement. "The UK Government is supportive of NuGen, as a maturing and highly skilled nuclear organization, and has remained firmly committed to new nuclear — stating that nuclear has a crucial role to play in securing our future energy needs, especially as we look to move to a low carbon society," he added. Toshiba owns Westinghouse Nuclear, a US-based developer, whose reactors are to be used in the construction of the US$12bn Cumbria plant. Toshiba has a 60 percent stake in NuGen, so pulling out would leave the UK government having to look for new backers. 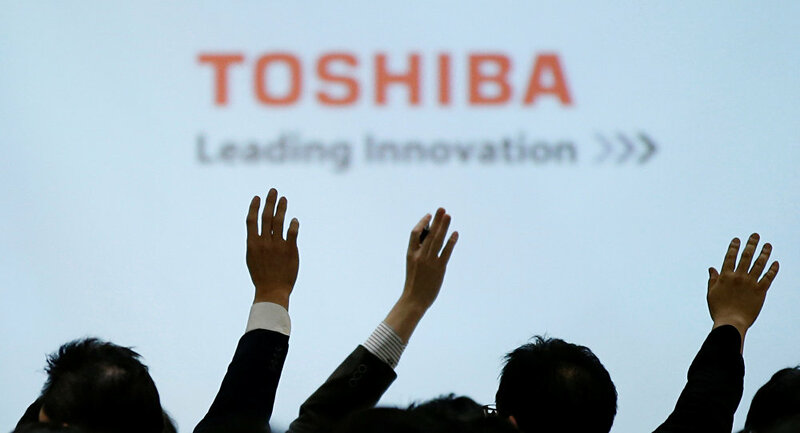 However, according to industry experts, the key question is looking at what exactly Toshiba's role would be. "We know that Toshiba have provided the reactors for the development of this plant, however the question which remains unanswered is what other role will they play in this, and if they will be building the plant? This is information that we are unsure of at this time," John Moylan, industry and employment correspondent for the BBC said in a recent interview. #Toshiba remains committed to developing #Moorside new nuclear project — says @NugenLtd. Nugen: Toshiba "remains committed" to #Moorside nuclear project. Toshiba: "will consider participating" in project; looking to sell stake. ​Despite the reassurance from Toshiba, financial analysts predict a cloudy future on whether the company can continue investing in the plant, as its shares recently slid by 8 percent. "Finally, now people are starting to recognize that internal control problems, the accounting issues and governance issues are very real and no longer abstract," said Zuhair Khan, an analyst at Jefferies in Tokyo. According to experts, the project will bring about 5,000 new jobs and huge investment into the country. It is also hoped that the development will drive the regeneration of the area, as well as provide better infrastructure — new roads, better railways, whilst demand for housing will increase. For the British government the deal is of paramount importance due to Brexit, and if Toshiba decide to pull out, some campaigners are calling for the UK to step in and ensure that the development goes ahead. "A new build at Moorside is part of a vital broader and home-grown energy mix — built, maintained and operated by British workers. "Brexit should be a perfect opportunity to demonstrate conclusively a better way for nuclear in West Cumbria," GMB union senior officer Chris Jukes said. However the development of this plant has caused some controversy already, with other campaigners demanding that it be stopped. Radiation Free Lakeland, a campaign group designed to prevent the development of the nuclear plant, have protested against it, saying the area already has another nuclear facility, called Sellafield, which in their view is enough for Cumbria. "Cumbria already has Sellafield. The Sellafield site has the biggest amount of radioactivity on the planet. A major accident involving the liquid high level waste tanks would have catastrophic consequences and make the area uninhabitable for many generations," a statement on the group's website page reads.